The Certified Business Leader & Coach (CBLC 02) is the second component of the overall CBLC program. Upon completion of the first session, candidates are able pursue this component. 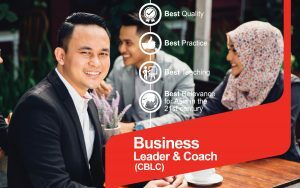 In CBLC 02, we guide you through a step-by-step system for starting your own business coaching business. Learn the art of coaching business leaders where you’ll be crafted into the kind of credible coach that can add real value, increase bottom-line sales and create a more desirable workplace and culture for your clients and their employees.